Using healthy and fresh ingredients, La Jolla Groves in Provo creates an upscale menu of American cuisine for guests to enjoy. 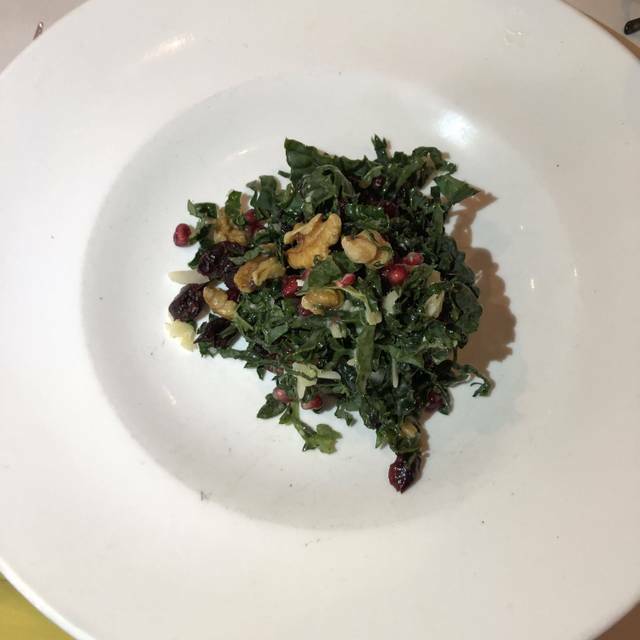 Each recipe at La Jolla Groves offers a vibrant blend of flavors for a healthy and revitalizing meal. On the menu, you'll find such items as roasted mushroom bisque, beef tenderloin salad, shrimp scampi, roasted chicken alfredo, sautéed shrimp, filet steak sandwich and more. From appetizer to dessert, you can be sure that the fare at La Jolla Groves is hardy as well as energizing. Finish off a healthy meal with homemade chocolate Bundt cake or the La Jolla Groves Lemon Cake to share with friends. The lemon cake dessert was awesome! The service was great and the ambiance was lovely. Very good experience! The food was mediocre at best. The spiced tortellini was chewy and tasteless. The creme brulee was just ok. The only bright spot was the butternut squash soup which was absolutely delicious. The staff was unattentive. My husband did enjoy the Wahby Beef and the chocolate mousse, but the salad was blah. Overall, the food was overpriced and not worthy of a fine dining establishment. We will not return. The food was fair and its over priced. The vegetables were tough. The food was delicious and well prepared. Our servers were courteous and helpful and attentive. Our food was ready promptly and the ambience was peaceful and enjoyable. overall a bad experience. the server was inept. took one drink order (diet dr pepper) and walked away from the table without taking any other orders. then when someone at the table ordered a drink, he was unaware if they could make it or not...later promised it...and then delivered something not even close to what was asked. he was not attentive throughout the evening, and when he came around was more awkward than helpful. the butternut squash soup was to die for. but the shrimp in the scampi smelled like gold fish...to the point that I couldn't eat it. for what we paid, neither the service nor the food were worth it. We have dined at LaJolla on several occasions. 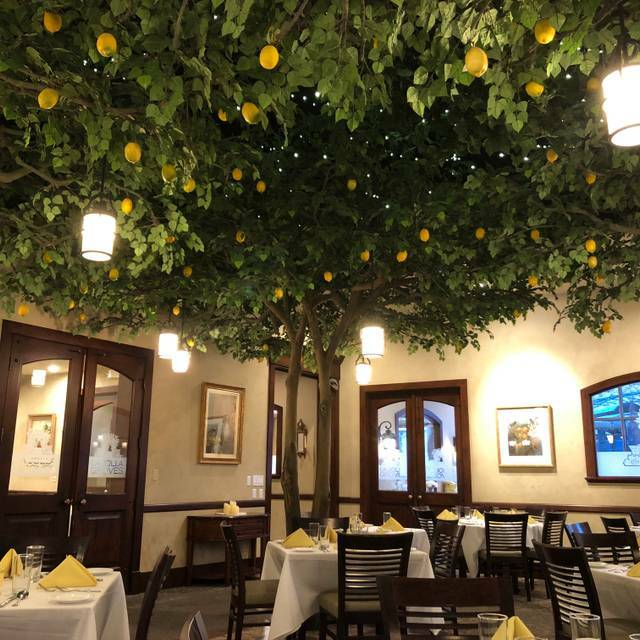 Our server indicated that the cuisine had changed from French to Italian, a disappointment to us as we have always liked the French cuisine menu at LaJolla. Our server was good and we had plenty of attention from our server and support staff. The rolls were ok, but the entree's were os poor quality. My wife had the beef medallions and I had the rabbit pasta. The medallions were cold and burnt, not nearly as flavorful as they were on other occasions. My rabbit pasta dish was awful, flavor was way too spicy and there was scarcely any meat, just a bunch of noodles and sauce. The greens on top of the dish helped some, but I could not eat most of the entree as it was difficult to stomach. I had an upset stomach after the meal for a day and one half and I had to chew gum, brush my teeth etc. to get the "bad" taste out of my mouth. The dessert was ok and was a little redemption to the meal. I am sad to say we will not be back and will not recommend LaJolla to anyone looking for fine dining. I am hoping you will consider changing cuisines back to more French style in the future, if so we may consider dining again. My husband and I visited La Jolla Groves for the first time and we both loved it! The atmosphere is beautiful and quiet. The staff was professional and made sure we were well taken care of. The food was delicious! I am a very picky eater and have a hard time trying new places, but their food did not disappoint at all! La Jolla Groves is a great place for a date or special occasion. I would recommend it to anyone. We loved it. Fine dining, delicious and prices were more, but very reasonable for the quality of food and service. I got the Sea Bass and my date got the Shrimp Scampi, which was great. The service was great, seem like the staff was a little new and trying to over please. Our meals were delicious! We would definitely go again! We went here for an anniversary dinner, for which we made a reservation. They had several parties & no quiet table. The steak medallions were excellent, but the hanger steak came out well done when ordered medium. While our waiter was attentive, we didn’t want to wait another 30-40minutes by sending it back. All in all, it just an okay average dinner when we’d hoped for something more. WE LOVE THE AMBIANCE AND ATMOSPHERE AT LA JOLLA GROVES. WE CAN ALWAYS COUNT ON FINE LINENS AND A QUIET EATING EXPERIENCE. WE COME QUITE OFTEN FOR OUR MONTHLY LUNCH GROUP. WE NOTICED THAT THE MENU HAS CHANGED AND THE PRICES ARE CONSIDERABLY MORE HIGHER! MY WEDGE SALAD LOOKED MORE LIKE A SKIMPY PIECE OF ICEBERG LETTUCE, NOT A WEDGE. THE DRESSING WAS GOOD. THE ONION SOUP WAS EXCELLENT IN FLAVOR. THE CREME BRULLE WAS EXCEPTIONAL. WE DIDN'T LIKE HOW WE HAD TO CONTINUALLY ASK FOR MORE ROLLS AND BUTTER. IT WAS LIKE WE WERE BEGGING FOR MORE BREAD INSTEAD OF GIVING US A BASKET FULL. I DOUBT MY LUNCH GROUP WILL WANT TO COME BACK BECAUSE OF THE EXPENSIVE LUNCH MENU! The gnocchi was like an old gummy bear in a lukewarm tomato sauce. The beef tenderloin was barely warm and was cold before half of it could be eaten - we are not slow eaters. The barrata was delicious but only three pieces of bread. I would recommend for a nice evening in Provo, as it’s the only one really. My green beans were obviously from a can, and the beef was a little burnt on the outside, but inside it was tender and flavorful. My wife’s salad was very good. Overall, it was fine, but it wasn’t amazing. It was overpriced, but the restaurant was a very nice venue. Servers were uninterested, lacked knowledge and this place serves fish and it’s symbol is a lemon and they didn’t have lemons! Food was average. Not nearly as good as the price would suggest. Would no recommend unless they change. The food was great, the venue was gorgeous, and the service was outstanding! You made our special occasion (rehearsal dinner) memorable in all the right ways! Thank you so much! La Jolla Groves is one of the nicest restaurants in Provo! I usually never even leave reviews and if I do they’re good but I had to leave this one. Horrible service! I was extremely disappointed. Our server hardly came by our table, maybe twice during the whole evening other taking our order. We had get up from the table to go find her to get refills, ask questions and order, and when we found her she was sitting around with the rest of the wait staff talking. When the food finally came, it was OK but they got my entree wrong and then I had to get up and find the waitress again to ask what had happened. I felt like I was polite to her but she basically said well we’re out of what you ordered so that’s just what you get and left. No apology, no offer to get me something else, it was basically take it or leave it. I will never return there and cannot recommend it to anyone else. Great food. I ordered the medallions and my girlfriend got the chicken. The Aracini was the best part of the meal. They did take a while to bring food out but it was a busy Valentine’s Day night so it made sense. We have been going to La Jolla since a year after it opened. It was my wife's favorite restaurant and I knew I would never be let down by the old faithful delicious "Marsala Chicken." Well, It appears they are under NEW OWNERSHIP...again and they are starting to taste as Sour as the lemons on their trees. My Wife and I went for our Valentines Day Dinner expecting it to be as Awesome as they use to be. NOT SO! They have gone down hill. The only thing good are the free roles but those have changed so much that they are even starting to lack taste. My Favorite dish was the Marsala Chicken and it is no longer offered. I thought I would try their Lemon chicken and it tasted awful! Not worth the $27 paid for it. Prices have been going and the food taste and quality has been going down. The chicken was fatty and had a chicken bone it. The Lemon sauce tasted like a white gravy with lemon juice squeezed into it, and the mashed potatoes were just mashed potatoes. I could have made a better dish myself. Cracker Barrel would have been a better choice for good meal that night. The couple next to us had the same opinion. La Jolla Groves needs to make some serious changes soon. Tastes like they are circling the drain. Good Luck. The service was terrific, friendly, and not overly done. They had great timing and didn't dote or hover, but were there when we wanted them. Table settings, atmosphere, lighting were wonderful. The music was not what we are used to, but it wasn't bad or very loud, so that helped. My wife and I both had the beef medallions, and they were good, but not fabulous. The beef was too well-done for us; we both ordered medium rare and both got well done. The outsides were crusty and a bit burned, but the glaze helped. My wife's medallions were tasty, but mine tasted a tiny bit spoiled. The potatoes and green beans were a good touch. The water was obviously straight out of the garden tap, complete with metallic and rubber taste. This was disappointing, because we dined at La Jolla Groves three years ago, and the food was fabulous. Ownership change? Anyway, this summer I'm going to give them one more chance, in case we got a fluke night. Great place to go for Valentine's Day. The food was very good--except the veges left a little to be desired. The molten lava cake for dessert was superb! and they included a rose and some trufles as a gift when we left. Pretty disappointed with the whole experience. We went for Valentine’s Day and were pretty excited for their special menu. We were sat promptly and were quickly greeted by our waiter. He took our drink order and appetizer order and was off. We got our drinks quickly and then ordered our main entree. After about 45 minutes our meals come and no appetizer. Nothing was ever mentioned but since the food was here, we decided to let it go. The wagyu steak was cool to the touch on the outside and nearly raw on the inside and my side was also cold. I had to try and get the attention of someone to get a steak knife and to refire the steak. The steak came back in 10 minutes and was the medium rare that I ordered. After finishing, we had to wait another 30-40 minutes for our check. In total this dining experience took over 2 hours, while many people came after us and were finished before we were. I used to love this place, but this drop in service and food quality has really disappointed me. Places like La Jolla Groves are not common in Utah county, but we’ll have to find another place for our date nights. This place has pretty good food. The roles are delicious and the soup was really good. Along with the flavored lemonade. But for the entree's I honestly thought that they were WAY overpriced. The food was fine, but it wasn't what I was hoping for after paying so much. We have eaten several times, this was the worst experience. We usually love this restaurant. The food was disappointing. Small portions for the price. 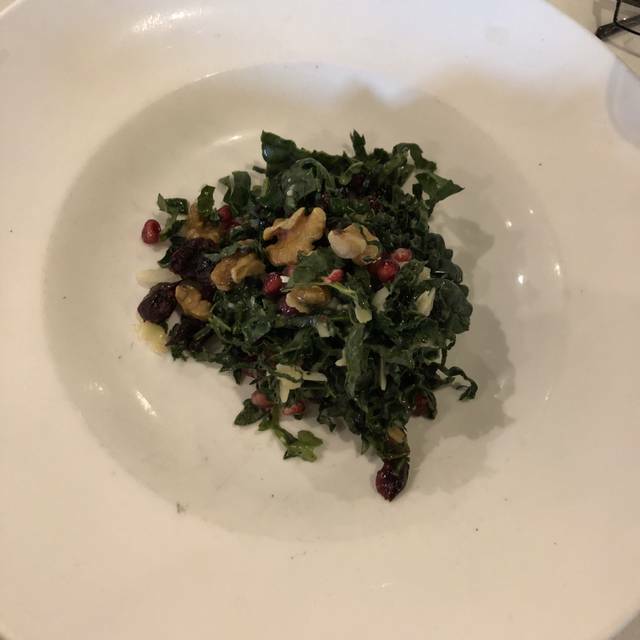 The kale salad was so bitter and drenched in dressing, I couldn’t finish it. Our waitress checked on our table only once, no drink refills. It will be awhile before we eat here again. Who knows though, maybe it was just not a good night, it happens. Spent a small fortunate and left hungry. The portion sizes were way too small. We went right after our wedding reception and it was the perfect setting. The staff was beyond accommodating and the food was delicious. We went here for our anniversary and it was lovely. I highly recommend the butternut squash soup. Thank you for the glowing review! We really appreciate you taking the time to tell us about your experience with our restaurant. We waited 20 minutes after we were seated to see a waiter. The food wasn’t very good. They have fresh pasta but it was tough and chewy. It was very expensive for something I had to take home and finish cooking in order to be able to eat it. That coupled with the terrible service means we will never go back. It’s a shame because it’s a pretty venue. We’ve been here many times and will continue to come back. It’s a perfect date spot, especially with few similar options in Utah Valley. The food is good, healthy, and a decent value. Thank you for your wonderful review, Brian! Had two main course entrees and two soups. Mine was not to my taste so that is a non issue . My wife order the sea bass, fish was good. Issues came with when we ordered the fish I asked could it be deboned in the kitchen. No not really was the comment or something to that effect. When it came it was on a plate with two different sauces on the bottom, the whole fish was on top of the sauce with potatoes (were good) on one end and a pile of greens on top of the fish. I asked for separate plate for the bones and a sharp knife. Buy time the fish was deboned I had made a nice mess on the table because of the amount of sauce that went over the edge. The fish should have come out on it's own wram plate with the proper deboning knife and padal. This way you can debone and put it on the plate with the other items. We are sorry to hear about this experience. We will be passing your comments along with our kitchen staff so we can improve. We really appreciate you taking the time to provide us with valuable insight on our sea bass. Please don't hesitate to reach out to our General Manager, Josh King (801) 224-5111, if you need anything in the future. I found the restaurant to be totally pretentious. I ordered a meal consisting of an appetizer, a salad, a soup, and an entree. The portions were tiny. The one bread roll per person was delicious but small enough to be covered by a 50 cent piece. The salad was regular. The soup came out in a half cup sized bowl. The 5 onion French onion soup had a whole tablespoon of onions. It was delicious, but laughable. Kelly, we are extremely sorry to hear about your experience dining at La Jolla Groves. Not only have we passed this review onto our entire kitchen staff, but management as well. We appreciate the time you have taken to leave this review, and will be referring to it as we go about improving our restaurant. Please don't hesitate to reach out to our General Manager, Josh King (801) 224-5111, for any further comments or desires. Meal took several hours to come out and one of our guest was left without for 20 minutes longer then the rest of the table. First course soup for two guest was overly salty and needed to be switched out for another type of soup. The tortellini meal I had was okay, but really tasted like package pasta & chicken with a homemade sauce. Overall quality was very poor for the price and a disappointing experience. Thank you for taking the time to tell us about your experience. We appreciate honest feedback that let's us know where we can improve. Please don't hesitate to reach out to our General Manager, Josh King (801) 224-5111, for any future needs. I've always found the food to be delicious and the atmosphere to be comfortable. Wait staff is pleasant and helpful. I greatly enjoy La Jolla Groves. Thank you so much for the glowing review! We are glad you had a wonderful experience. Portions are small, but adequate. The service was a little slow. The food was okay, but given the price, it did not really measure up. The wedge salad was a major disappointment. Dessert was in a particularly small portion. We are sorry to hear about your experience, and appreciate the feedback. Please do not hesitate to reach out to our General Manager, Josh King (801) 224-5111, for any further comments or desires.